Library update from the Alderman’s office Reviewed by Edgeville Buzz on June 2, 2011 . 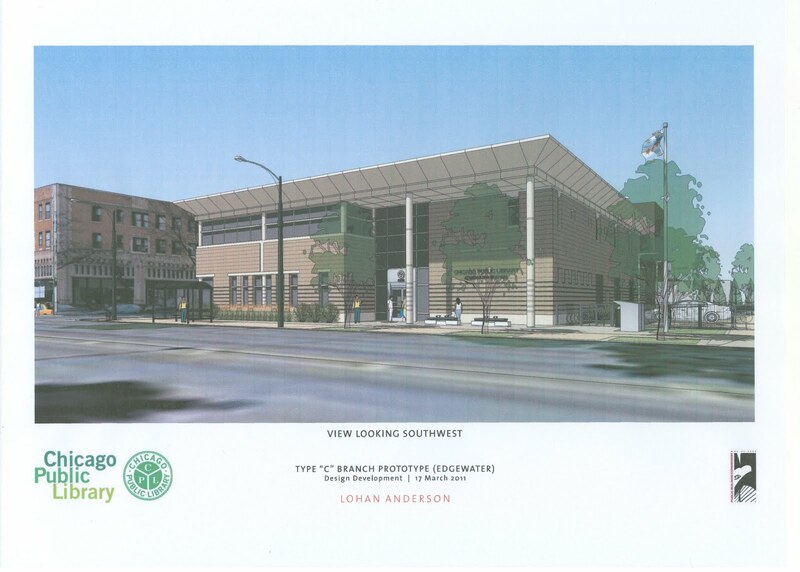 In an effort to better serve the reading and library needs of our community, the Chicago Public Library and the Public Building Commission are in the process of building a new Edgewater branch library at the site of the current library at 1210 W. Elmdale. This new library will be one of the largest branch libraries in the city, containing more than 60 new computers for public use, free wireless-internet connection, a green roof, and over $500,000 of new books and other reading material upon completion. On April 26th, we held a community meeting with the Chicago Public Library and the Public Building Commission as well as the achitects for the project. Residents expressed concerns about the proposal to locate the parking lot at the north end of the new property, with traffic entering from Broadway. Residents were concerned that the new driveway and curb cut on Broadway could increase traffic congestion and create safety concerns at this location. Responsive to these concerns, the Chicago Public Library and the Public Building Commission reviewed the proposal and have re-designed portions of the plan. 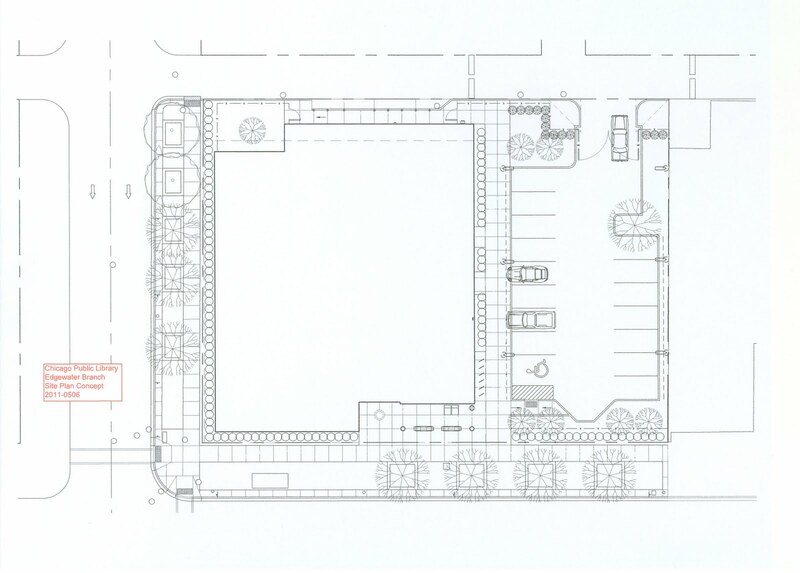 The new plans move the entrance of the parking lot from Broadway to the alley west of the library. As with the current library the parking lot will be accessible from the alley via either Elmdale or Norwood. Pictures for the new library and adjacent parking lot can be found by clicking the links below. The Chicago Public Library also agreed to place a “book mobile” in the Broadway Armory Park parking lot (Thorndale and Broadway) during the construction of the new library. This location will serve as a temporary pick-up and drop-off site for books while the new library is being constructed. The start date and hours of operation for the “book mobile” will be announced in the weeks to come. -Rogers Park Library, 6907 N. Clark St.
-Budlong Woods Library, 5630 N. Lincoln Ave.
-Sulzer Regional Library, 4455 N. Lincoln Ave. This project will be an important addition to our community and my office will provide ongoing updates on the progress and status of the construction.